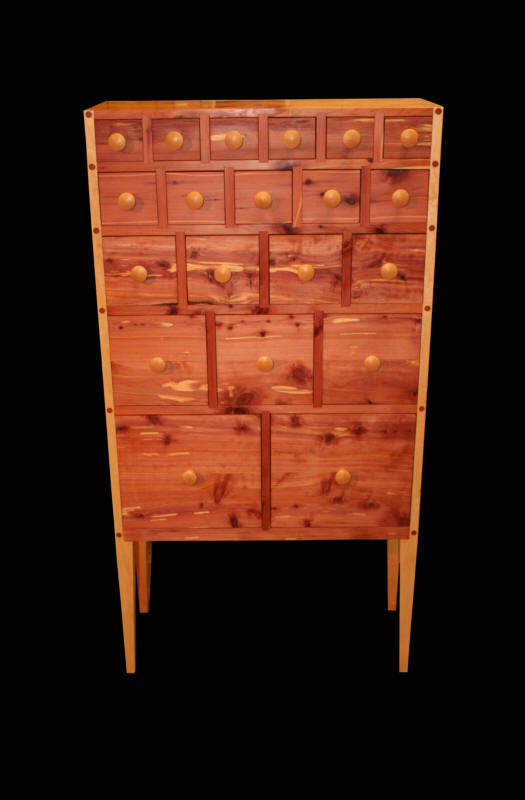 Here is a 20 drawer modern style apothecary chest on graceful legs. 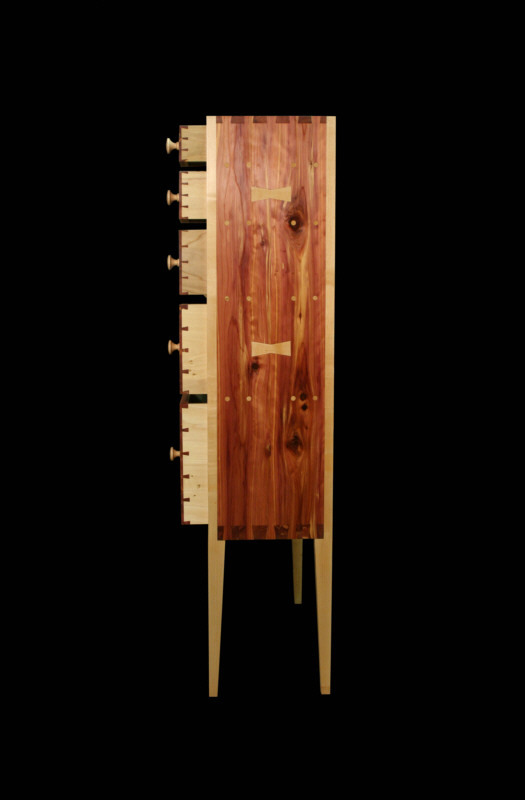 The legs are made of hard maple for strength as well as design. 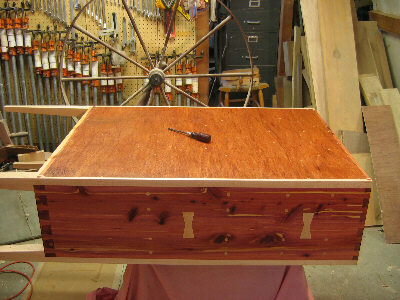 Construction is of solid aromatic red cedar throughout. 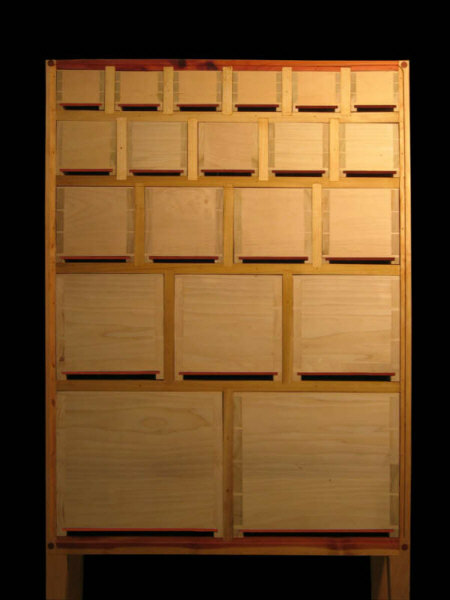 Drawer secondary woods are of Yellow poplar (tulip wood) and basswood. 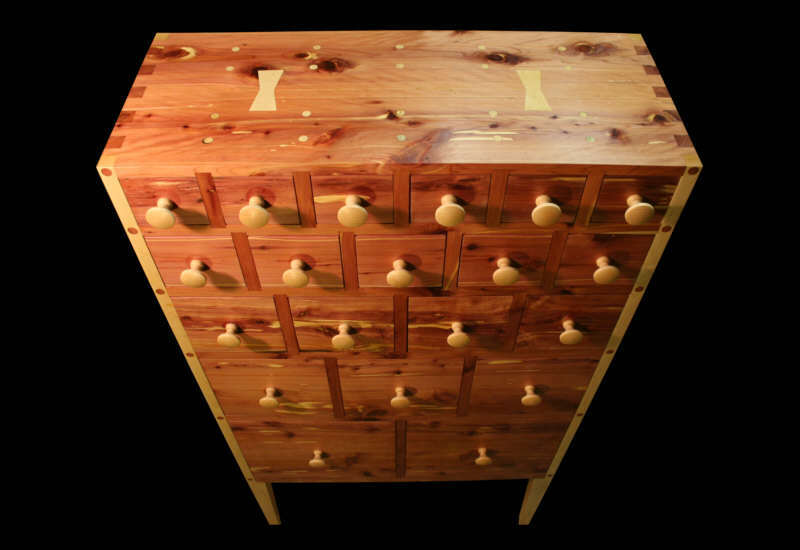 Drawer-Pulls are specially made of hand turned hard maple. 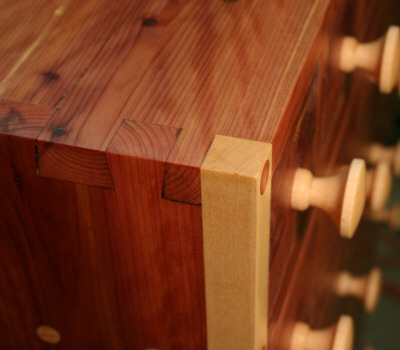 Pegs and butterfly joints are of maple and cedar. The above picture shows the structural detail of the individually fitted drawers, each sliding in its own position. 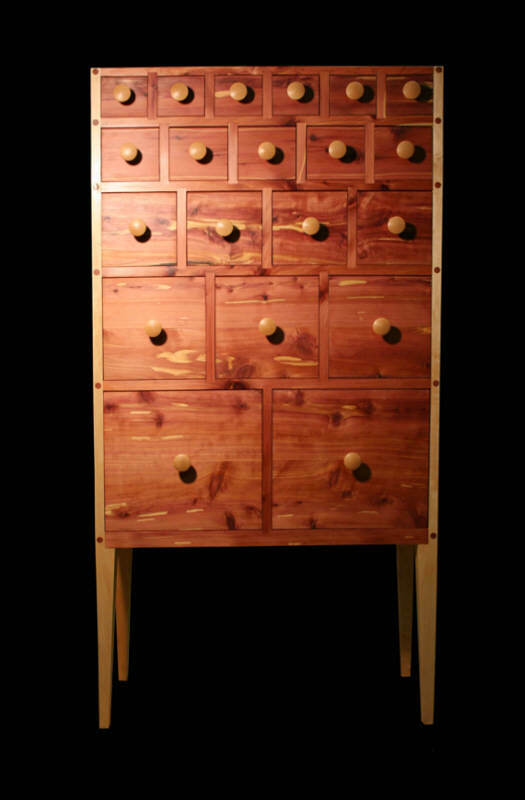 All drawers are made using hand cut dovetail joinery with aromatic red cedar unless otherwise specified. Photo on right shows fitted mahogany back.